Styled for the transitional home, the Shola Collection is a comfortable and functional addition to your living room. 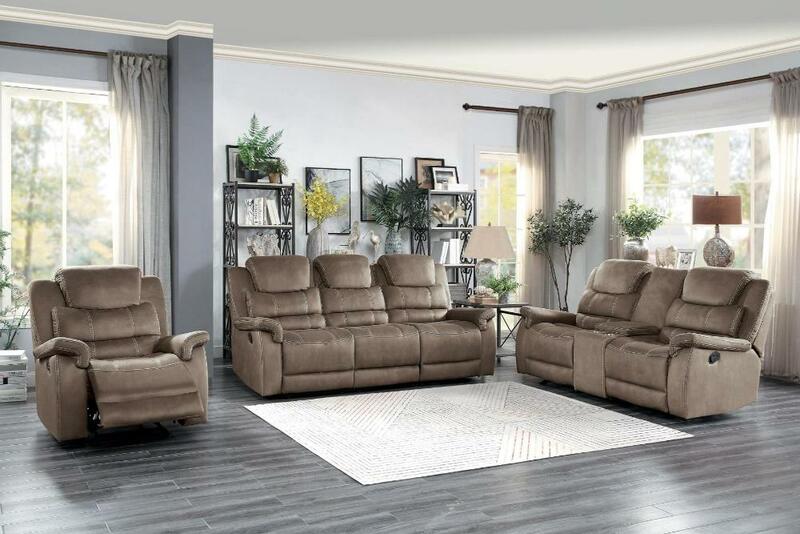 This reclining seating group is offered in a brown or gray fabric, with contrast stitching, making it a neutral decorative choice for a number of home environments. The power motion reclining and headrest mechanism, once engaged, operates to take you from seated to reclined in an easy motion with personalized head support. The sofa features dual reclining ends, as does the loveseat. The sofa has a drop-down center back that reveals cup holders, flat surface, USB port and power supply. 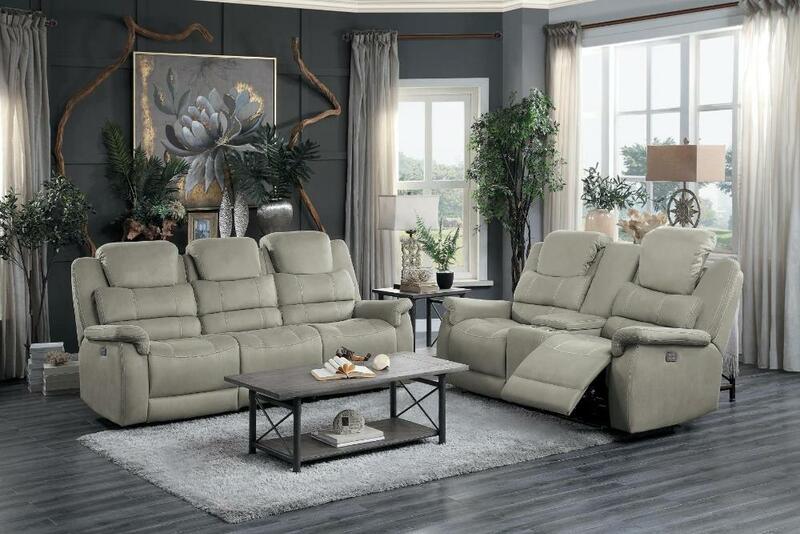 The loveseat features a center console with cup holders and lift-top storage. The collection is also available in manual pull mechanism. FEATURES: Brown / Gray Color ~ Transitional Style ~ Power / Manual Mechanism Options ~ 100% Polyester Fabric Covers ~ Console with Cup Holders ~ Power Headrests ~ USB Port For Power Option.